New Wave Pools LLC is an award winning, full service, swimming pool company located in Southern Wisconsin. 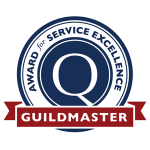 Awarded the 2017 Guild Master Honor and 2018 Guild Master Honor for “Service Excellence”. 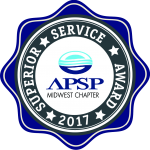 New Wave Pools LLC is the 2015, 2016, 2017 and 2018 Superior Service Award recipient accredited by the Midwest Chapter of the Association of Pool and Spa Professionals. We are affiliated with National Swimming Pool Foundation. New Wave Pools LLC provides services to multiple Home Warranty Companies and is also an authorized warranty service provider for multiple manufacturers. 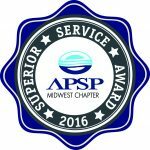 All of our technicians complete an Association of Pool and Spa Professionals Certification Process. New Wave Pools LLC is an award winning full service swimming pool company with over 5o years of combined service experience in the industry. Our Certified Maintenance Specialists and Certified Service Technicians at New Wave Pools LLC are trained by industry organizations, product manufacturers, and are certified by the Association of Pool and Spa Professionals. You can trust New Wave Pools to provide the highest quality residential pool service. New Wave Pools LLC is an award winning full service swimming pool company with over 5o years of combined service experience in the industry. Our Certified Pool Operators, Certified Maintenance Specialists, and Certified Service Technicians at New Wave Pools LLC are trained by industry organizations, product manufacturers, and are certified by the Association of Pool and Spa Professionals. New Wave Pools LLC provides complimentary estimates for commercial swimming pool openings, maintenance, filter media replacement, and swimming pool closings. New Wave Pools LLC provides complimentary vinyl liner replacement estimates for swimming pool owners, this allows customers to plan and budget for when it is time to replace the liner. New Wave Pools LLC uses several liner manufacturers to provide our customers with a large selection of patterns and designs. The process for replacing the vinyl liner is strategic as such this process should only be completed by a professional with many years of experience in vinyl liner replacements. New Wave Pools LLC specializes in vinyl liner replacements and will exceed your expectations in the process of planning and installing your next vinyl liner. I’ve had many issues with other pool companies until New Wave Pools. They are fast and get the job done. Raven is great! Always kept me in the loop as to what as going on and their time line. I recommend this pool service above any others!